It’s a great recipe for a crowd. They would look great on the holiday table as well! Thanks for your comment. Enjoy time with your family! Great job! YUM. A lovely preparation! Oh my goodness – another of your wonderful recipes that has me licking my lips! Tonight is roast night – so this will definitely add a lot to the plate! Thanks so much for sharing! Let me know how they turn out, Dani! Have a good day. I do my potatoes like this and they are super scrummy! I agree, Cathy! Have a good day! 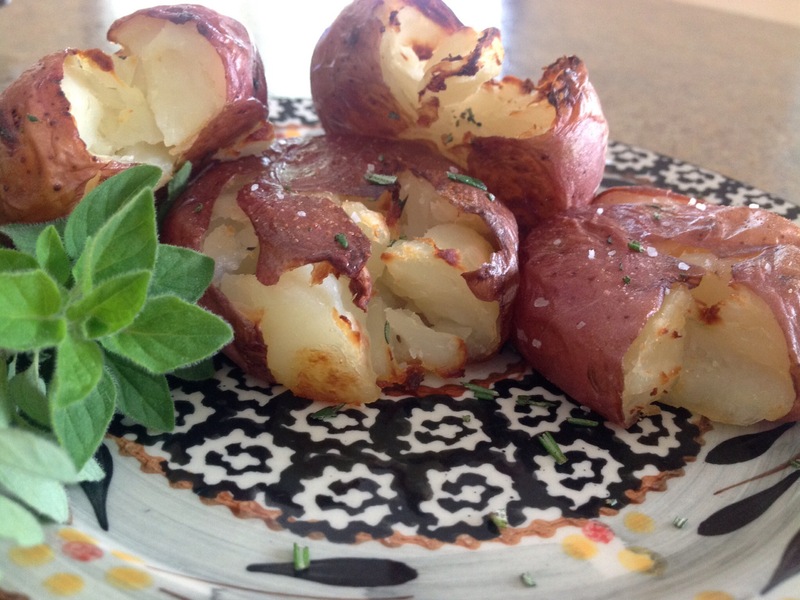 Look delicious…and it is nice to have another way to serve potatoes up my sleeve! You can dress them up with your favorite herbs and spices. While not as healthy, you can sprinkle cheese and bacon on top too! Thanks for your comment, Charlotte! Now you’ve got my tummy rumbling, May! Your blog is exactly what I need in my life… I’m a lazy cook so tend to make the same dishes over and over. You’ve inspired me to try new things 🙂 These potatoes are defiantly one I’m going to try. To cook more! Thanks for your kind comment! Enjoy!